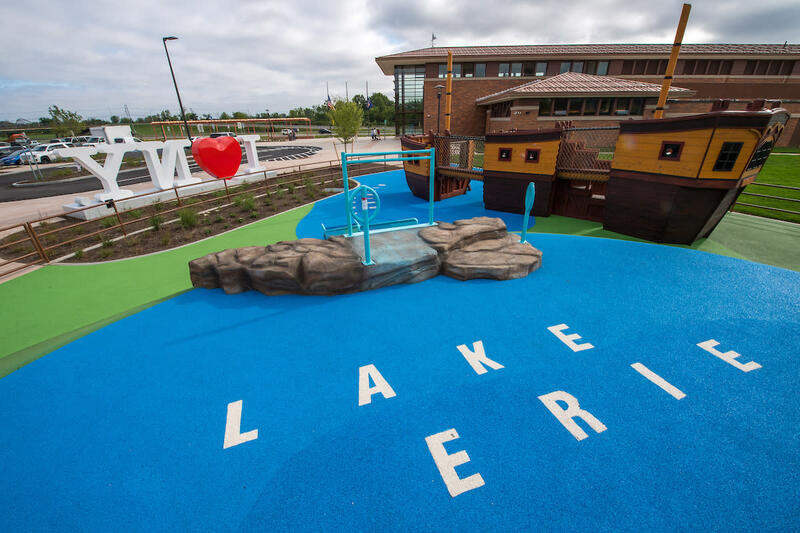 Need a break while traveling to and from Niagara Falls or Buffalo? 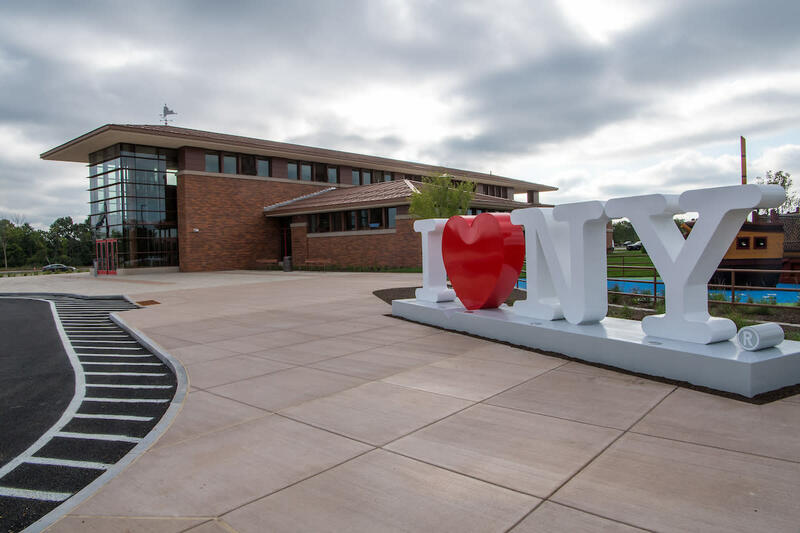 Stop in at the Western NY Welcome Center and learn all about this thrilling region. 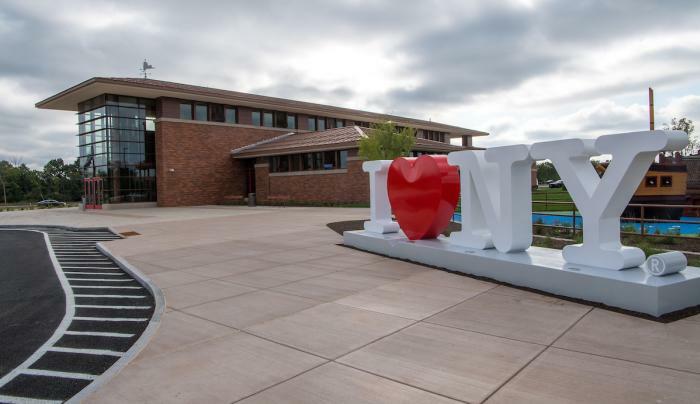 With a design inspired by Frank Lloyd Wright, whose nearby Darwin Martin House Complex is a regional highlight, this center offers a full Taste NY market with counter service, a 90-foot mural of Niagara Falls, and tables and chairs for a bit of relaxation. 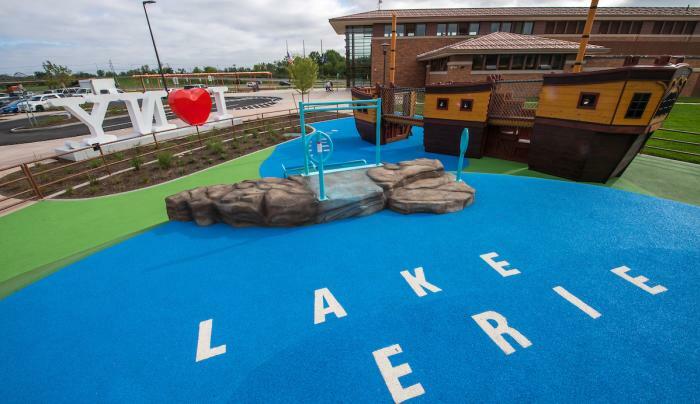 The kids can play at the impressive outdoor Great Lakes shipwreck-themed playground. The center provides three electric car charging stations.